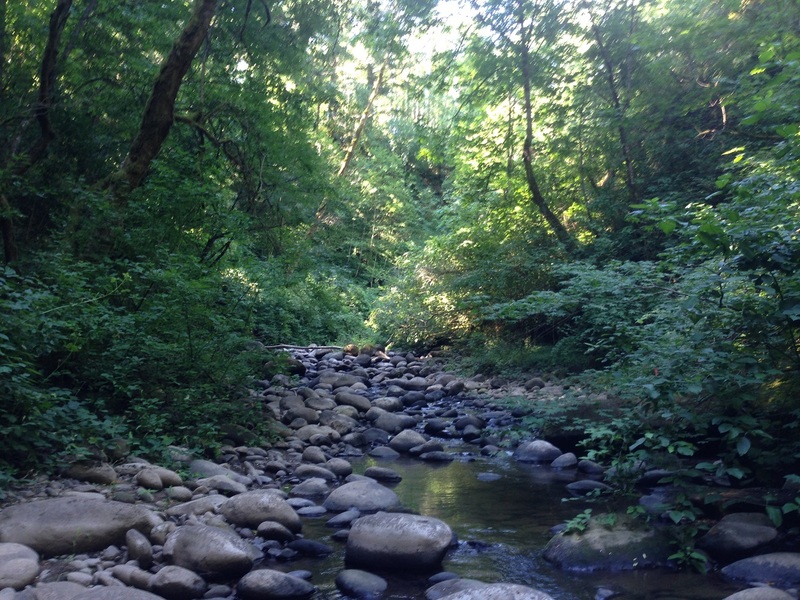 Salmon are born in creeks and return to the same creek to lay their eggs after spending a few years in the ocean. 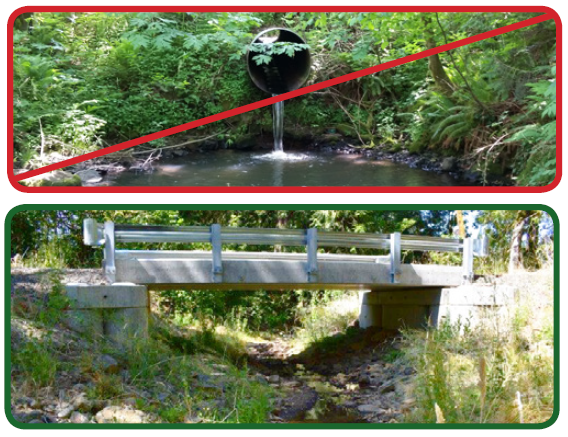 Small culverts block salmon from getting home. 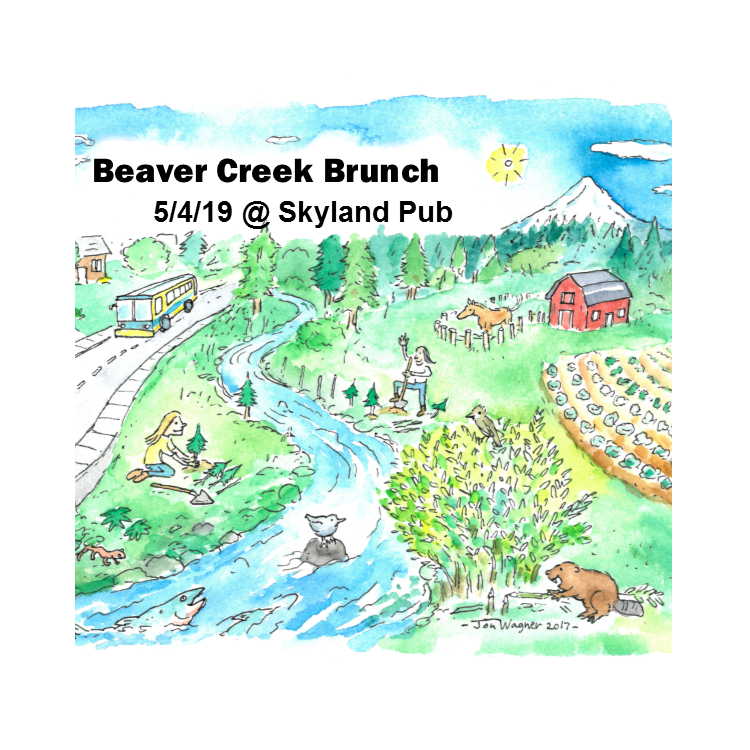 Projects to replace small culverts will occur at Kane Road this summer and Cochran Road next summer (2019). Continue reading to learn more about the Kane Road culvert construction. Remember the Kane Drive washout in 2015? 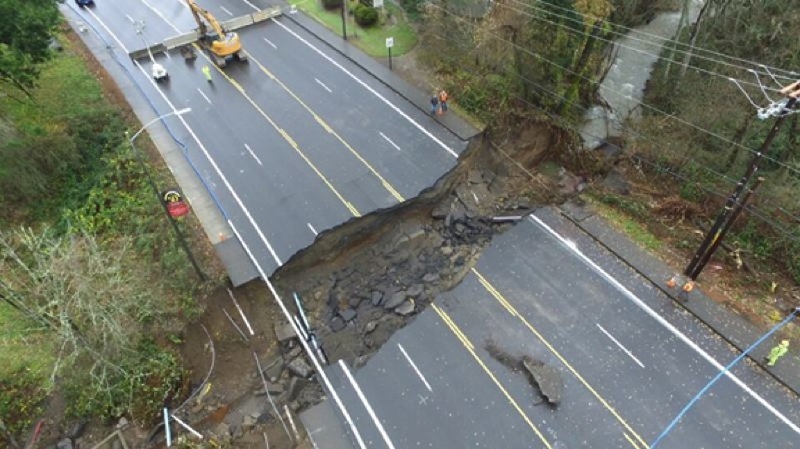 Remarkably, the City of Gresham was able to get the road re-opened in 30 days with a temporary repair. 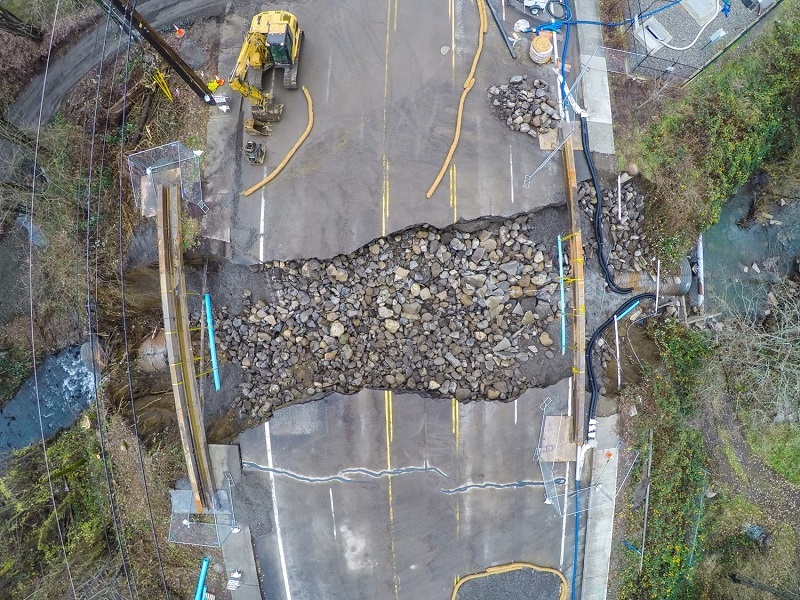 Above: Kane Road after washout in 2015. The storm that washed out Kane Drive dumped 3.16” in six hours (equivalent to a 100 year storm) and 4.35” in 24 hours (approximately a 50 year storm). A large tree with a root ball lodged within the culvert causing the water pressure to erode the road base. The wash out was 40’ wide, 15’ deep and 140’ long. Large river rocks were placed inside the hole to prevent continued erosion while waiting for the temporary repair materials. Above: Kane Road washout stabilization. The emergency repair cost $1.4 million dollars and was funded by FHWA and FEMA. 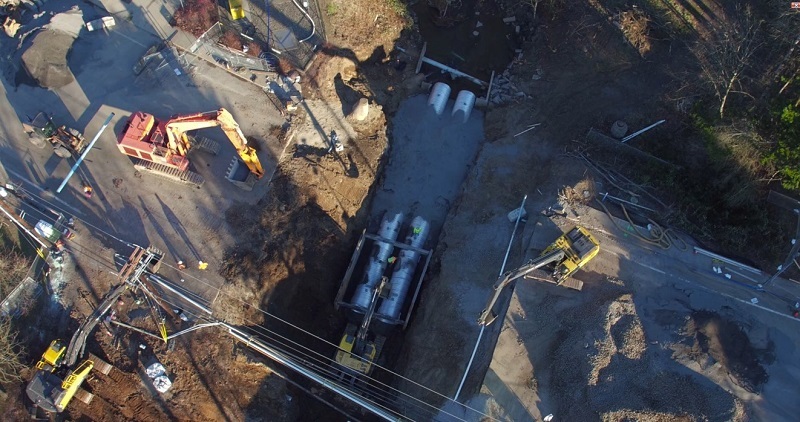 Above: Kane Road washout temporary culvert replacement construction. 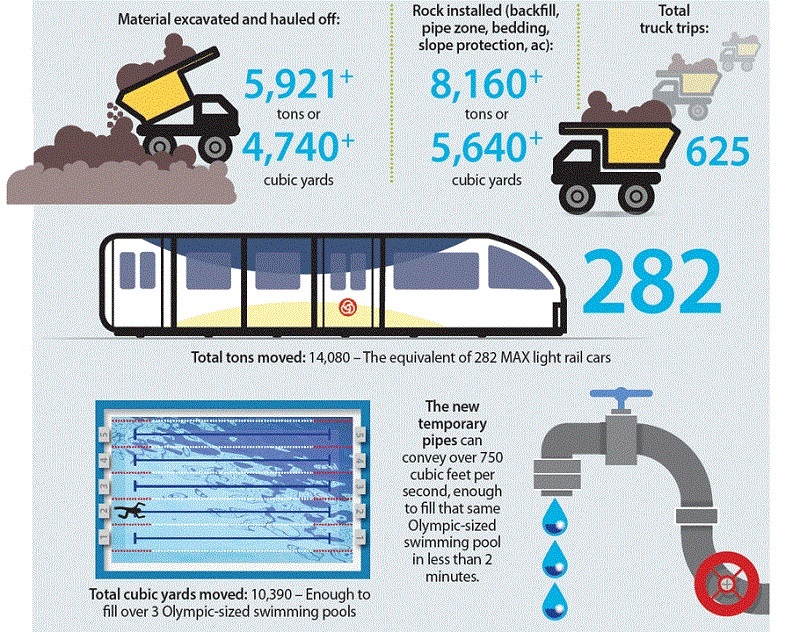 Above: Kane Road washout by the numbers. In July and August of 2018, the City will begin the permanent repair work to be conducted over a period of about 7 weeks. The permanent repair will include a 34-ft span, open bottom fish passable culvert. This will be similar to the Stark St. culvert replaced in Fall 2017. 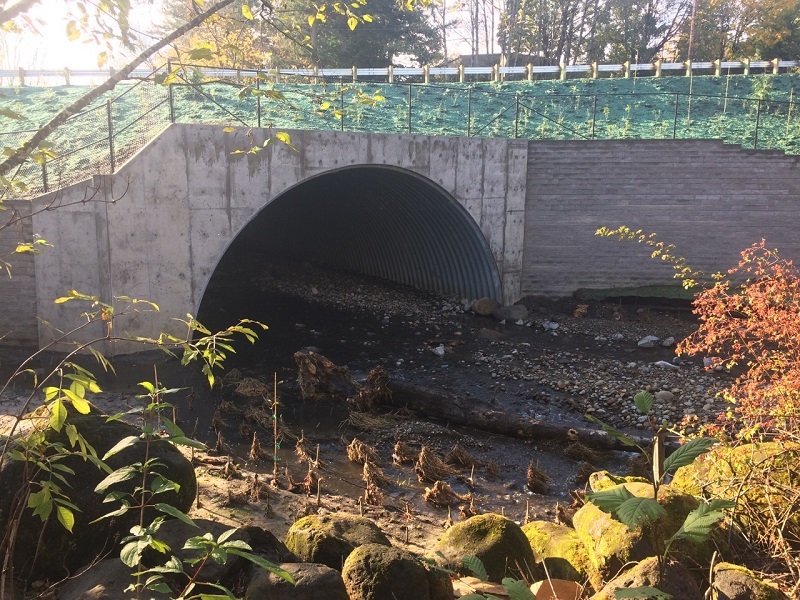 Above: Stark Street culvert after construction, Fall 2017. During this time, a small portion of the road between 17th and 23rd will be closed. A longer section will be local access only to existing connecting driveways and neighborhood streets. https://greshamoregon.gov/Kane-Drive/ Click the “Receive Updates” tab or call 503-618-2525.